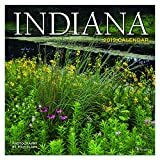 There is so much more than corn in Indiana! 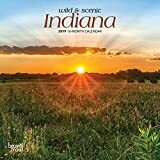 From rural retreats to cityscapes, come visit the popular sights and pastoral settings of Indiana. Beautifully photographed by famed photographer Rich Clark. Location information provided. 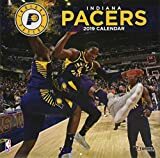 This 2019, 12" x 12" wall calendar is a top-selling format and has thirteen full-color photos with a 4-month bonus spread featuring January 2020 - April 2020. Grab a cold one while you visit the heartland and say "Cheers!" 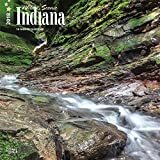 to 12 unique beer labels from Indiana’s own craft breweries. Information on the beer and brewery are provided. Featured breweries include 18th Street Brewery, Bare Hands Brewery, Evil Czech Brewery, Mad Anthony Brewing Co., New Albanian Brewing Co., Norris English Pub, Quaff ON! Brewing Company, Scarlet Lane Brewery Co., Shoreline Brewery, St. John Malt Brothers, Sun King Brewing and Upland Brewing Company. 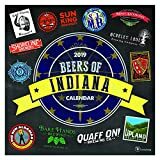 This 2019, 12" x 12" wall calendar is a top-selling format and has twelve calendar spreads of beer label artwork plus a 4-month bonus spread featuring January 2020 - April 2020 with additional space for notes. Printed on matte paper.